A twisted relationship between the two women resulted in months of abuse for the 8-year-old and eventually her death. AYESHA CHOWDHURY WAS a bright and beautiful little girl who just wanted to please the people in her life. The eight-year-old lived in London with her mother Polly and her girlfriend Kiki Muddar who she wrote about in notes, saying she felt like she was always letting them down. Today, these two women were found guilty of killing Ayesha, after what has been described as “sustained abuse, both physical and mental” in the months leading up to her death. Muddar and Chowdhury first met in 2007 and struck up a friendship which police said “quickly grew in intensity”. Throughout this period, Muddar invented stories to fuel this intensity and gain sympathy from the other woman, including that she was suffering from cancer and also that her boyfriend had died during the London riots. In 2012, Chowdhury left her husband, their marriage having gradually deteriorated since she met Muddar. They began living together in 2013, with Ayesha, and Muddar started to develop fictitious characters in order to gain more control of the household. One character, Jimmy Chowdhry, instigated a fabricated relationship with Polly through Facebook, bringing her to the point that she wanted to marry him. She was convinced by Muddar that Ayesha’s cold demeanour towards her would impact on her and Jimmy’s health. The second character, ‘Skyman’ would send texts to the woman, telling her to punish her daughter for acts deemed as bad behaviour and these messages were further supported by messages from Jimmy and directly from the other woman. This pattern appeared to escalate in the months leading up to Ayesha’s death, with the little girl being forced to do menial labour such as scrubbing the house, bring forced to miss meals, take cold baths and spend hours shut up in her room as punishment for perceived bad behaviour. 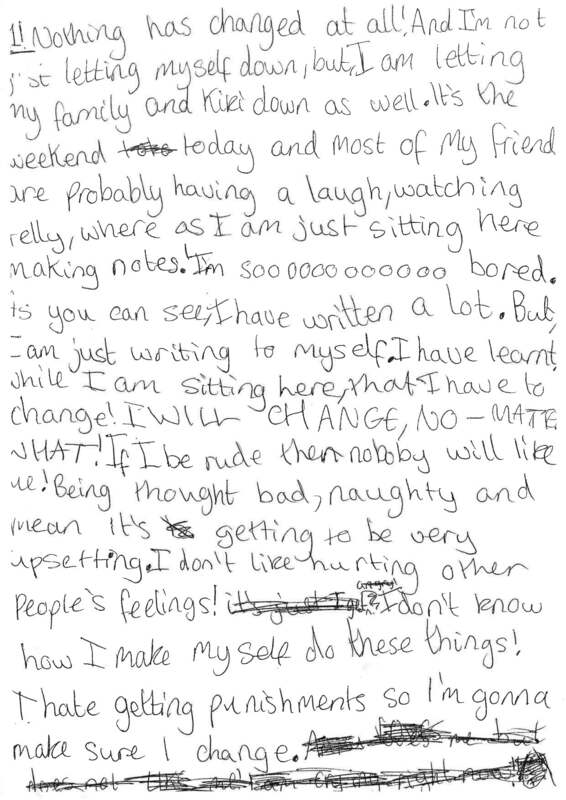 The impact of this abuse on the child can be seen in the notes she wrote during those hours cooped up in her room. It is not known when the abuse first started but at 11.30am on 29 August, Muddar called 999 to say that Chowdhury had cut her wrists. On arrival, ambulance staff found the lifeless body of eight-year-old Ayesha on her bedroom floor. It was obvious she had been dead for some time. A post-mortem examination subsequently revealed Ayesha had 56 separate injuries to her body including a bite mark on her shoulder and fresh bruising on her head, body and limbs. Chowdhury was taken to hospital for treatment and within the flat a number of letters and notes were found. One claimed she had taken Ayesha’s life after her daughter had tried to drown herself in the bath. Muddar was initially treated as a significant witness but once police began to analyse the phone and computer accounts of all involved, it became clear she had played a full and active part in the abuse of Ayesha. As part of the investigation, detectives recovered and analysed 140,000 lines of text from messaging apps and emails, 40,000 messages from a laptop, 1,450 voice recordings which were backed up on Kiki Muddar’s phone and 17,000 pages of Facebook messages. In one recording, Muddar can be heard telling a friend that she will “f***ing kill” Ayesha, calling the eight-year-old girl a “c**t” and a “witch”. “I will drown her in the f***ing bath,” she can be heard telling the friend. Today the two women were found guilty of assaulting and killing the child and will be sentenced on Friday. In a statement, Ayesha’s father said he lost a battle he never agreed to fight. I cry every night; each teardrop engraves yet another scar. The saddest part is that I have to put up with another day, every day shielding my suffering inside. Detective Inspector Donna Convery from the Homicide and Major Crime Command said in all her years as a police officer, she has never come across a case of this nature. Ayesha was a bright and intelligent little girl who was well liked by teachers and classmates alike. In the six months before her death Ayesha was subjected to horrific levels of mental abuse, which during the summer holidays escalated to become physical. She was an innocent child who was caught up in the most bizarre set of events, manipulated by two adults who were intent on causing her harm. Email “Girl killed by mother and girlfriend had 56 separate injuries”. Feedback on “Girl killed by mother and girlfriend had 56 separate injuries”.